This collection is no longer maintained nor monitored and is not accessible to the public. The entity now known as NMIT was formed in 1988 through the amalgamation of Preston College of TAFE and Collingwood College of TAFE. The new entity was called Northern Metropolitan College of TAFE. In 1996, the name was changed to Northern Melbourne Institute of TAFE and, in 1999 the acronym NMIT was adopted. From modest beginnings as a technical school in Collingwood in 1912, NMIT has grown to become the largest provider of vocational and technical education in Melbourne’s north with current course enrolments exceeding 65,000. NMIT is located in the northern suburbs of Melbourne, Victoria, Australia. It has six metropolitan campuses located at Preston, Collingwood, Epping, Fairfield, Greensborough and Heidelberg and a rural campus at Ararat. There are also six training centres Northern Lodge – Eden Park, Northern Lodge - Yan Yean, Yarra Glen Racing Centre, Northern AMEP (Adult Migrant English Program) Centre in Broadmeadows, Growling Frog Vineyard and NMIT Kyneton Park. In the early years of the 20th century adequate technical education was lacking and became a focus in the Victorian Parliament. After much debate and discussion among politicians and educationalists, the 1910 Education Act No 2301 was passed, making possible the establishment of new technical schools to address the dearth of skilled trades people. In July 1912 Collingwood Technical School opened in the modified bluestone buildings at 35 Johnston St, originally built in 1853 as the Collingwood Town Hall and Court House. Within three weeks, there were 57 boys enrolled - studying preliminary carpentry and pattern-making, plumbing, engineering, sheet iron work and bricklaying. They attended two hours a night on three evenings a week. 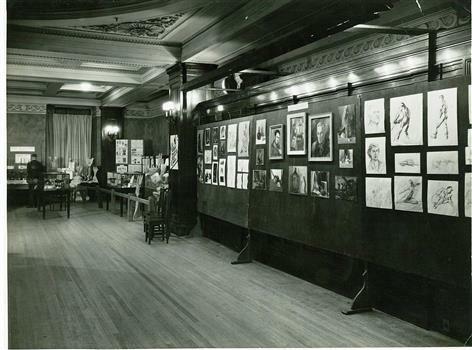 In 1913, the school opened its doors to juniors and took residence in new permanent buildings erected on the site. It was classified as a trades school by the State Education Department. Two years later courses in electrical wiring and electrical and mechanical engineering were introduced. Over the next 75 years, the school expanded with new extensions and courses as education assumed a much greater significance in society. In 1916, during World War 1, the school was used to rehabilitate returned soldiers and a Returned Soldiers Training Scheme began. In 1931, during the Depression, classes started for unemployed youths and by 1935, the junior school had 788 enrolments, the biggest of any metropolitan technical school. The total enrolment was 1769. In 1970 the school was renamed Collingwood Technical College following the introduction of 'middle-level' engineering courses. 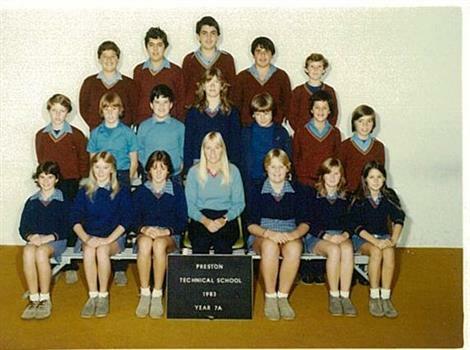 Then in 1976 Certificates of Technology were introduced and the college assumed responsibility for high school evening classes at University High School as part of TAFE operations. In 1981 the college changed its name to Collingwood College of TAFE. In the mid-1930s the idea of establishing a second technical school in the north of Melbourne resurfaced. Seizing the initiative, Preston Council provided land in St Georges Road and Northcote City Council also offered money. In 1937 the new school Preston Technical School opened with 385 male students and twenty-one staff. Demand for technical education in the north grew, and within three years, the school had outgrown its buildings and spilled over into temporary quarters. By the end of World War II, students were also being taught in classrooms at four state schools in Preston and Northcote. 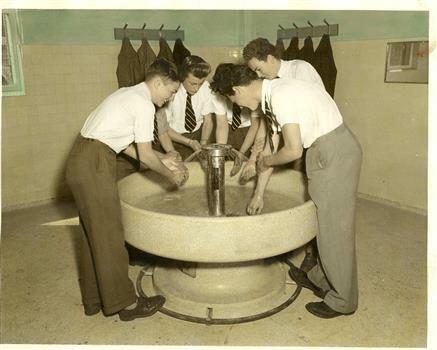 While wartime had halted new construction, after 1945 building restarted and in 1947, a workshop block was opened for teaching carpentry and joinery, fitting and machining, plumbing and gas-fitting. By 1949, there was a request to educate girls in the technical area. It was seven years later that the Girls' Technical School opened in Cramer St. with up to 500 students. As well there was a push for the establishment of a diploma school offering tertiary courses in engineering and science. 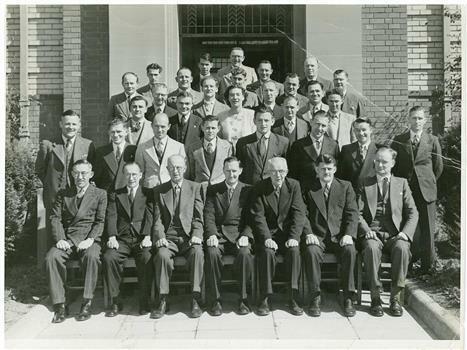 By 1951, Preston was the biggest technical school in Victoria, with 893 boys enrolled. During the 1960s the college grew and developed. In 1966, the college council applied to affiliate the Preston Diploma School with the Victoria Institute of Colleges, and study programs increased rapidly. By 1977, more than 100 courses were offered and a decade later, the college had a student population of almost 17,000 prior to amalgamation. NMIT is now accredited to deliver over 500 nationally recognised qualifications and more than 400 Institute accredited courses in everything from accounting to equine studies, childcare to commercial cookery, fitting and turning to floristry and beauty therapy to meat processing. These study programs are delivered by six faculties – Earth Sciences, Further Education, Business Hospitality and Personal Services, Building and Construction, Arts and Social Sciences, Engineering – across seven campuses and six specialist training centres throughout the northern region of Melbourne and country Victoria. NMIT now encompasses a broad course range that transcends the days of carpentry, plumbing and sheet metal, with programs that include pre-apprenticeships, apprenticeships, certificates, diplomas, advanced diplomas, associate degrees and bachelor degrees. There are also articulated pathways to university studies and NMIT hosts a large cohort of international students as well as delivering programs with 25 partner institutions throughout Asia. Finally, perhaps one of the most significant aspects of NMIT’s development is the links the Institute has forged with industry and the community which still permeate NMIT today. It is one of NMIT's greatest strengths that students are taught by teachers who are directly involved with and work in the industries in which they are teaching, and courses are designed to meet the needs of industry and business in the region. This collection is no longer maintained and is not accessible to the public. The NMIT Archive Centre was established in 2012 as part of the Institute’s centenary celebrations with a view to bringing together a repository of documents, images, reports, plans, recordings and artefacts of enduring historical value which record the history of NMIT and the various educational institutions upon which it is based. Its collection ranges from 1912- and includes handbooks and prospectuses, annual reports, inspector reports, principal's reports, program reports, account books, building plans, student and staff manuals, student and staff photographs, newspaper cuttings, recordings of events such as openings of new buildings or campuses. I have copies of 1949, 1950 and 1951 Preston Technical School annual magazine in good condition. Would a historical society like to have them? 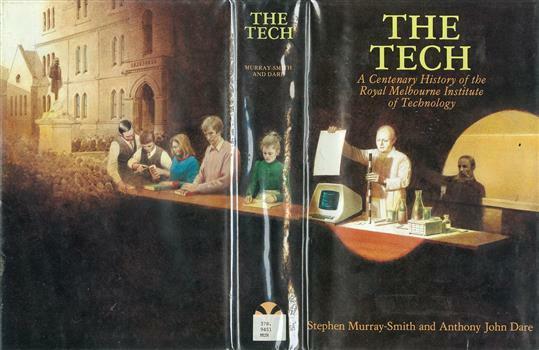 Hardcover book of 495 pages with black and white photos covering the history of the Royal Melbourne Institute of Technology. Wirtten by Stephen Murray-Smith and Anthony John Dare. and published in South Yarra, Vic. by Hyland House, in 1987. Four Spiral Bound reports on NMIT Epping Campus Student Centre/Library. One A4 size Developed Schematic Design Report by Brand Architects March 2008. Three from Paul Morgan Architects: one A4 size Post Value Management Developed Sketch Plan Report March 2009; one .A3 size Design Development Report May 2009; one 14 page Feasibility Study Report December 2009. 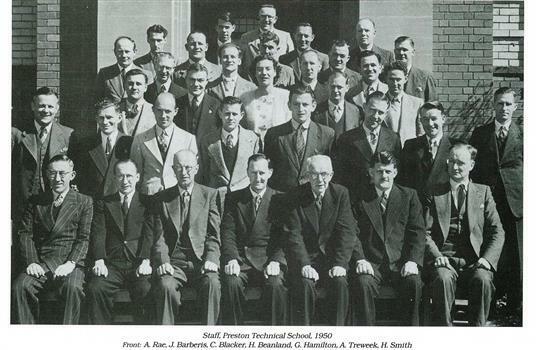 Black and white photograph of the Preston Technical School staff of 1950. 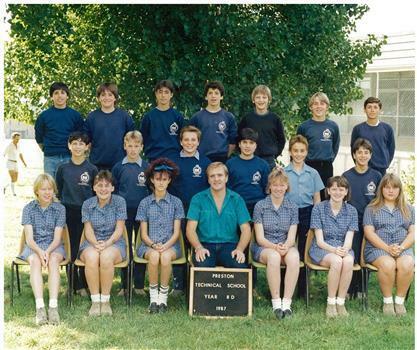 Principal Beanland is in centre front, and the other staff in the front row are named in Beanland's book A Lifetime in Technical Education p.54. Left to right they are: A.Rae, J.Barberis, C.Blacker, C.H.Beanland, G.Hamilton, A.Treweek, H.Smith. A4 size bound booklet written by Richard Morton for Preston College of TAFE, date unclear but probably 1987. Folder of A4 size Library bulletins, numbered 31 to 88. 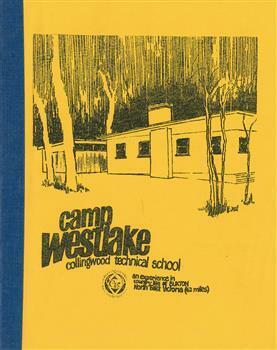 Handbook - CTS - Collingwood Technical School Handbook 1970-1971. Individual annual volumes. Paperback. Each volume contains handbook for that year. 1970X2; 1971X2. The Handbook for Collingwood Technical School outlines the courses available and lists some staff and others associated with the school in each year. Individual volumes from 1970 to 1971. Prior to 1970 the Handbook was known as the Prospectus. Collingwood Technical School was renamed Collingwood Technical College in 1972. The official record of CTS courses for the years 1970-1971. Laminated wood grain plaque with 22 labels. 4 labels have been engraved. 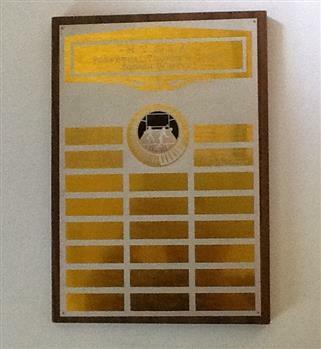 This trophy was presented to the winning team in the MTSSA girls squash competition in the late 1970s ad early 1980s. Winners engraved onto trophy are Preston Technical School and Fawkner Technical School. Nmaes of members of the winning team have been engraved onto the trophy. On large label at top of plaque :"M.T.S.S.A. Perpetual Trophy - Girls Squash (Winter) "; 4 smaller labels are engraved with the nameon the winning school, date and names of participants. Typed Minutes of Council Meetings of the Northern Metropolitan College of TAFE and Northern Melbourne Institute of TAFE. 1989-2007. Continued by the Minutes of Board meeting from 27 August 2007 to 26 October 2009. Minutes from 2008 are also online on the staff intranet. Manual: Programs Manual NMIT - Programs Manual 1997. NMIT. White loose leaf binder with blue insert in front cover. Contents include documents relating to internal organisation, policies and procedures of Northern Melbourne Institute of Technology. 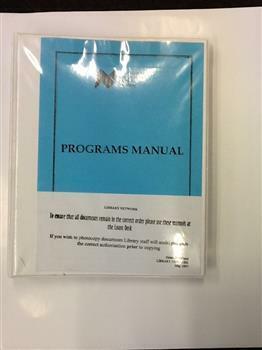 This folder contains documents relating to internal organisation, policies and procedures of Northern Melbourne Institute of Technology. It includes organisational flowcharts and procedures for enrolment and planning of recurrent and customised programs and courses. This manual provides a snapshot of the responsibilities of both the organisation and staff in the 1990s. Typed insert in front cover indicates that this manual was from the Library Loans Desk. 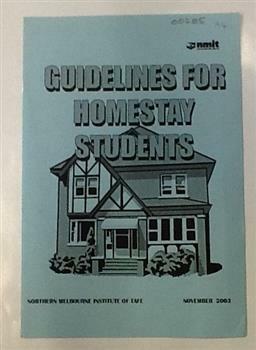 Booklet - NMIT - Guidelines for Homestay Students 2003. 8 page booklet copied on pale blue paper. Homestay students 'board' in an Australian home and this booklet lays down reasonable guidelines about what can be expected. Minutes - CTS - Minutes of Council of School Activities. Collingwood Technical School. 1937-1950. 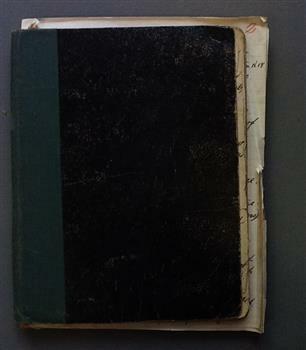 Black exercise book with green spine binding. The Council of School activities dealt with matters pertaining to student welfare, from the seats provided in the school grounds to tuck shop and school caps. Details the activities within the school, including those teachers who were involved. Bound report with pale blue soft cover and CTC school logo on top left-hand of cover, written by I.D.Scott in October 1974. 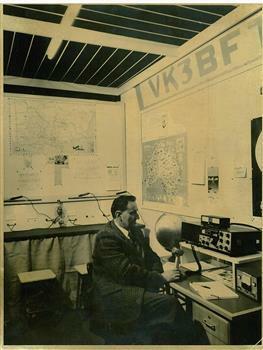 A second edition revised May 1975 also held. This later edition is spiral bound with a yellow cover. Reports on programs, classes, physical facilities and administration of Collingwood Technical College. Nineteen page report with salmon coloured cover. Spiral bound. Dated September 1987. A4 size report, aqua cover and various pagings, written in 1985. The primary aim of this project was to report to the TAFE Board, Victoria on the implementation of life skills material into mainstream vocational education at Royal Melbourne Institute of Technology (RMIT), with parallel emphasis on implementation models for statewide courses. The report is divided into 3 parts. Part A attempts to define the notion of life skills that developed from the work of Dr Stewart Sharlow’s ‘TAFE and basic life skills’, TAFE Services, Victoria, 1982 and the ‘Audit of TAFE middle level and technician humanities subjects,TAFE Services, Victoria, 1982. As a result of these publications a conference ‘Life Skills and the TAFE Practitioner’ was held in October, 1983 at Preston College of TAFE in Victoria with the aim of seeking a definition of the term life skill with regard to curriculum developments and classroom teaching. This report draws on these events and a number of programs developed or piloted in Victoria that are relevant to the issue. The report focuses on: 1. Work and Engineering Programme (RMIT,1984); 2. Diploma of Architectural Technology (RMIT); 3. Certificate of Law Enforcement Studies (RMIT); 4. Office and Secretarial Studies Certificate; 5. Life Skills at the Gordon College of TAFE; 6. Life Skills in the V.O.P. at Box Hill College of TAFE. Part B focuses on the experience of these activities towards curriculum and implementation needs, and evaluation and staff development requirements particular to these programs. Part C presents conclusions and recommendations. 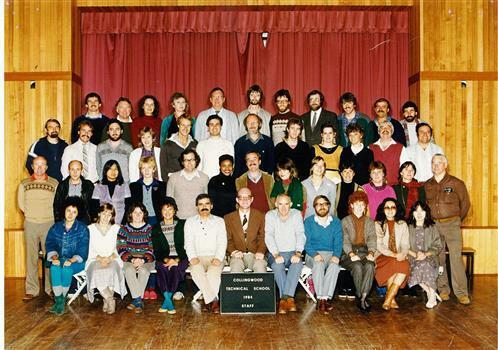 Colour photograph of 1984 staff at Collingwood Technical School. There is also a paragraph taken from Scott's history which records the development of the Club. Bound A4 size report of 244 pages and full title on the cover is 'Final report to the TAFE Board on / Future directions for TAFE / in the inner urban area / of Melbourne / October, 1983. Report to the Technical and Further Education Board, Victoria. Folder - PCOT - Out from Under: Affirmative Action Seminar [notes] 1987. 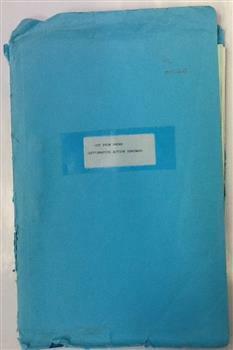 Blue manilla folder containing notes. This conference was a result of Affirmative Action legislation and the movement toward Equal Opportunity in the workplace. The conference was attended by employees from TAFE colleges across Victoria. An historical document on affirmative action and equal opportunity in the workplace. Property stamp on covering letter "Preston College of TAFE / LRC-Library"
Five black and white photographs of displays of student work in what could be a town hall. It is unclear whether they are of Collingwood Technical School students work or of work by Technical school students generally. They are undated but estimate they could be 1950s judging from clothes on display. The photographs were taken by Ritter Jeppesen Studios, 107-111 Lonsdale St, Melb. O.I. Book - NMIT - Accolades, awards and achievement. NMIT students achieve stunning success . 32 pages book, colour illus., portraits. Card cover printed in colour. 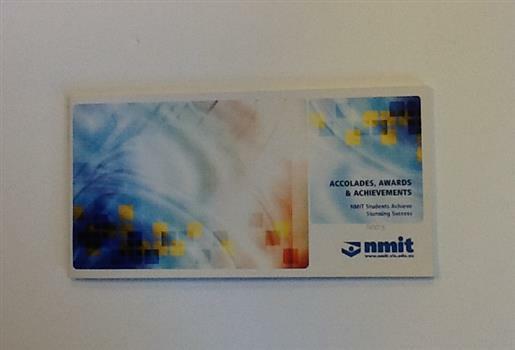 This book details the achievements of NMIT students and staff in various external awards. Each page has a student portrait and background information. Details the success of NMIT students and staff in competitions and awards. 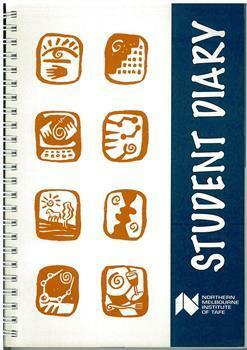 Spiral bound student diaries, A5 size. 1997, 1998, 1999. 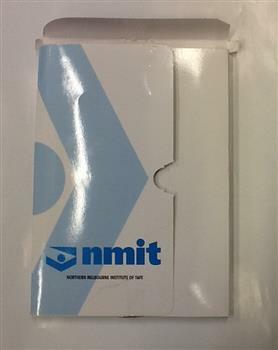 A corporate folder, white with blue nmit name and logo. Contains copies of policy documents. A collection of policies and sample documents relating to all aspects of Human Resources. Shows NMIT Human Resources policies as they were in 2005-2007.